Static buildings are known buildings till now and we can't imagine a movable building can be developed. Now, the dream became reality. 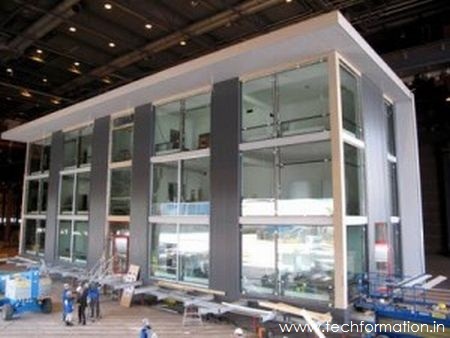 World's first movable building was installed in Turku. It is a three storey building made of patented steel panels. Every thing can be detached after use. I mean we can relocate ourselves along with our apartment to any where. It is a 40 foot high apartment weighing 220 tons and covers an appropriate space of 9300 sft. This building is earth quake resistant and it takes just a month to install.